This post is sponsored by Activia but the content and opinions expressed here are my own. I only feature products that I love and use. Thank you for supporting brands that support this blog! This year has been really great year so far for me. I’ve been on a health journey for quite some time now, but this year I’ve gotten really serious about making good eating choices. If you’re like me and have a hard time quitting your bad habits cold turkey, I suggest taking it one step at a time. A few years ago, I made a goal of making good choices for one meal a day. At first, I mastered the healthy breakfast. I found a few different breakfast choices that are really healthy and get my day started right. From there, I started working on snacks, lunches, and dinners. The absolute hardest meal for me to change was dinner and dessert. To be honest, it’s just plain hard to make good choices when I’ve been at work all day, picked up the kids, and need to just get dinner on the table because everyone else is starving as well. I think you can see where this is going. Even though I’ve been making good choices all day long, my last meal of the day was just destroying progress in my health journey. My barriers were definitely time, energy, and lack of good choices in the fridge and pantry. For the past two weeks, I made one minor switch to my evening routine that has been amazing. You all know how much I love yogurt (I’ve definitely mentioned it here before), and it occurred to me that I should switch out my dessert in the evening for my favorite Activia yogurt in vanilla. I already eat yogurt at breakfast time, so I just doubled up the usual amount of yogurt at my next grocery trip. I was set for two weeks! In case you’ve never heard of the Activia 2 week challenge, this is a challenge that can easily fit into your daily routine. If I can do it, as a working wife/mom of three, then you can do it as well! I love yogurt, and Activia tastes so yummy. Of course, you could customize it with some granola on top, but it tastes absolutely delicious on its own. At the end of the 2 weeks, I hope you feel as good as I do! I love stopping by my local Walmart each week, because it’s so easy to either schedule a pick up order or stop in real quick to stock up on my healthy snacks. And if you’re looking to save a little on your Activia yogurt (and who isn’t? 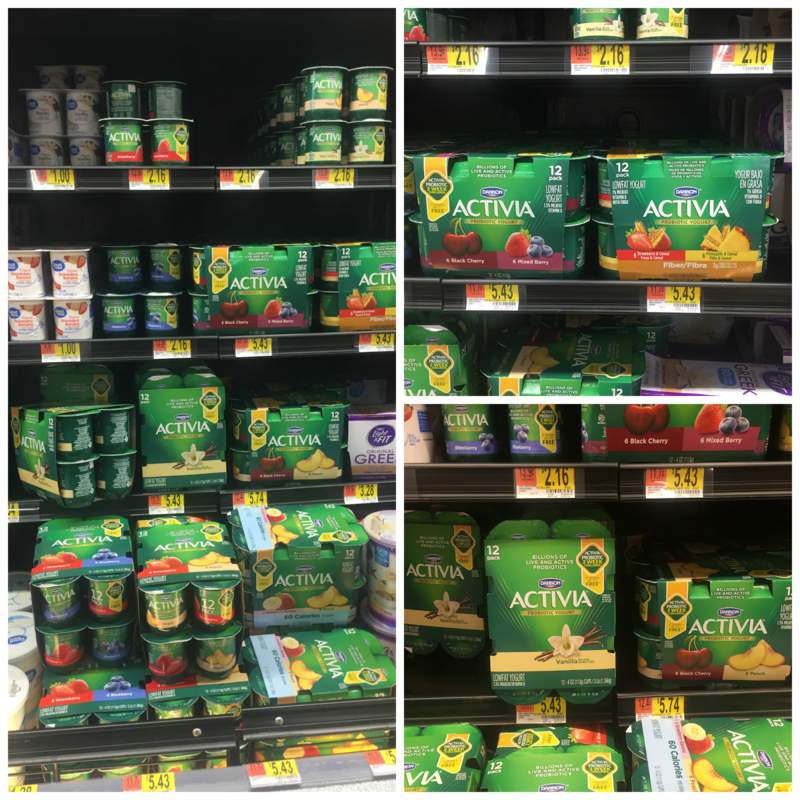 ), there’s currently an Ibotta offer when you purchase Activia at Walmart. You can check out the offer here.